We have outgrown our immaculate 24 foot Vortech TPD trailer. 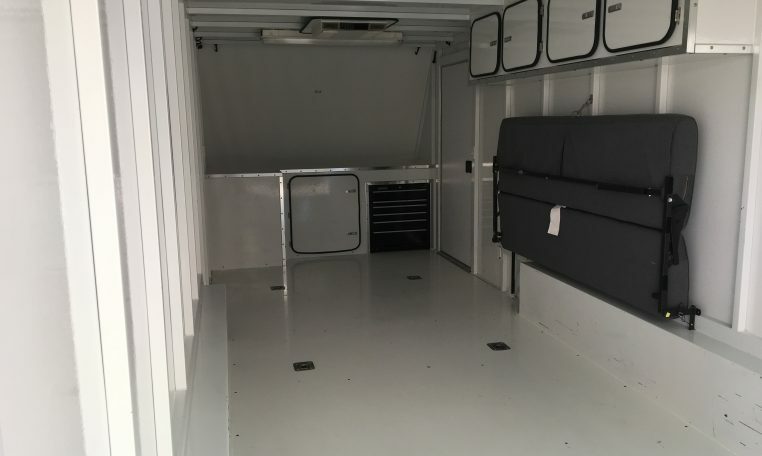 This trailer has a workbench located at the front of the interior that measures 27 1/2″ by 93″, a very usable working space. Under the workbench is a cabinet with storage and a 6 drawer toolbox. The trailer also has cabinets located toward the top of the interior space on one side. 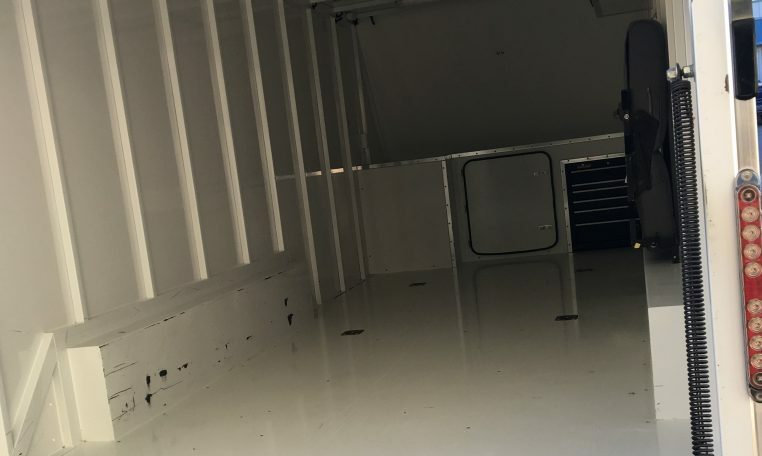 The cabinets measure 19″ by 94 1/2″ and are a great addition for the trailer’s storage options. 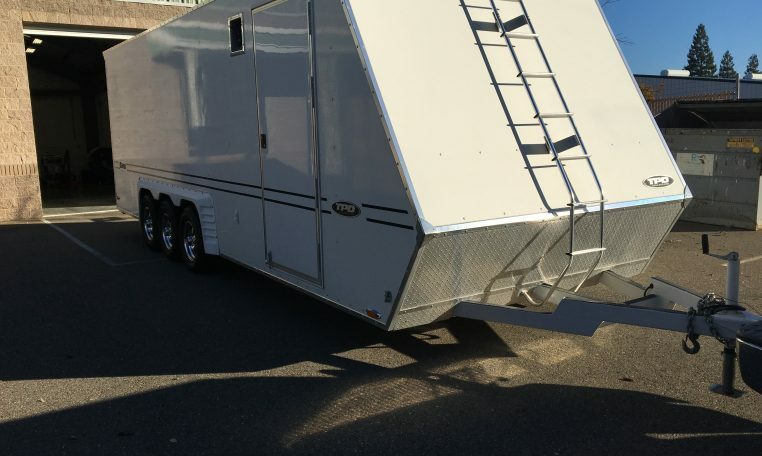 The trailer measures 80 1/2″ fender to fender inside and 85″ tall. 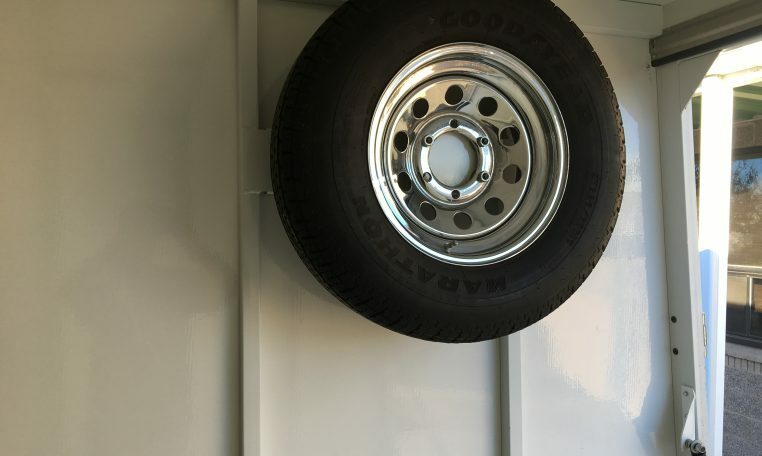 The trailer is equipped with an air conditioning unit with thermostat mounted on the wall. The a/c unit works exceptional and keeps the interior of this trailer cold during those scorching summer months. Mounted to the roof is a new 14″ by 14″ air vent. The flooring on our trailer is so clean you can eat off of it, seriously. The floors utilize 6 D-rings flush mounted used for strapping down equipment/cars/etc. A spare tire is also included and mounted to the interior structure. We added the option of a small couch that can be removed at any time. The couch was a great addition for a little more comfort a chair couldn’t provide. There are 4 sets of interior lights inside the trailer, two large florescent units, and two small convenience lights. 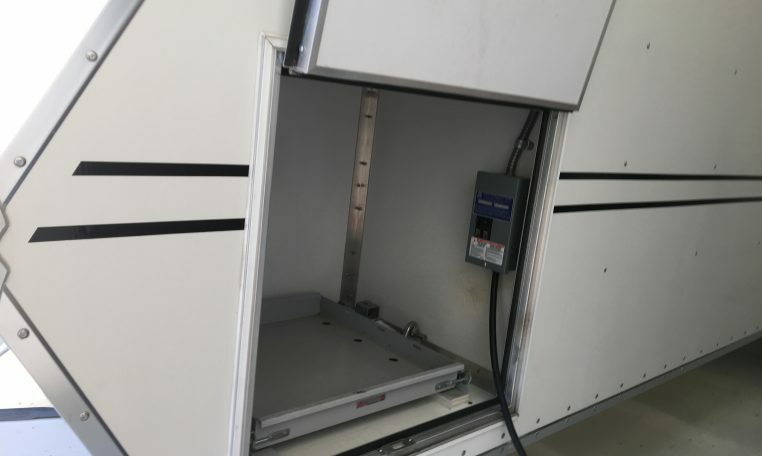 The battery, located inside the generator compartment, is new as of December, 2017. We also added vinyl privacy curtains to the back door that can be removed if necessary. 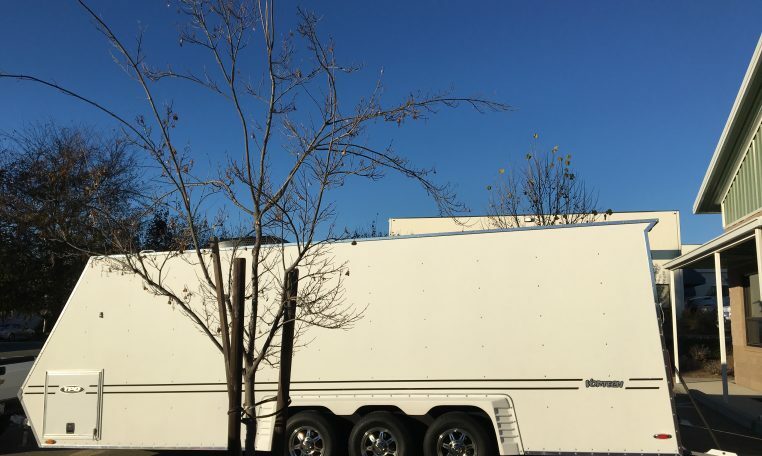 The privacy curtains are great keeping the trailer super cold with the a/c running or very warm, with a heater on (not included). 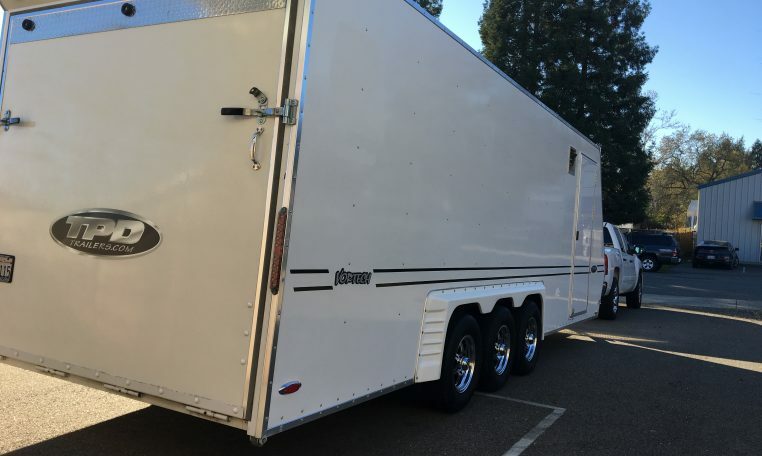 The trailer has gotten very little use and has been stored inside our race shop located in Loomis, Ca. 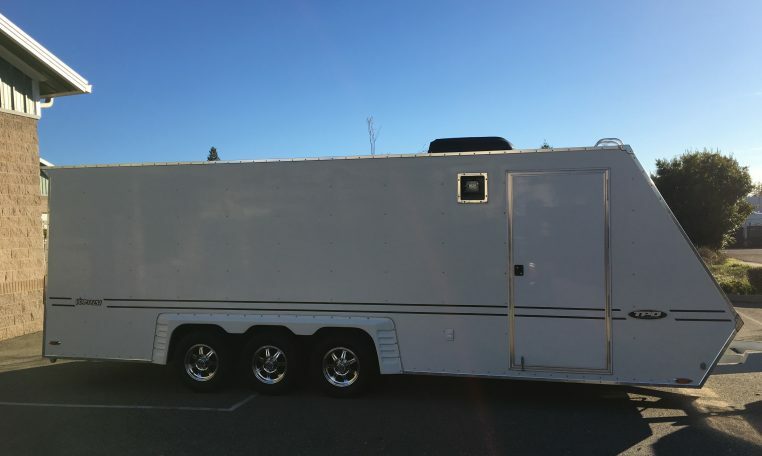 If you’re interested in purchasing or viewing the trailer, please feel free to contact me an we can arrange a viewing. The price is obo, serious inquiries only.